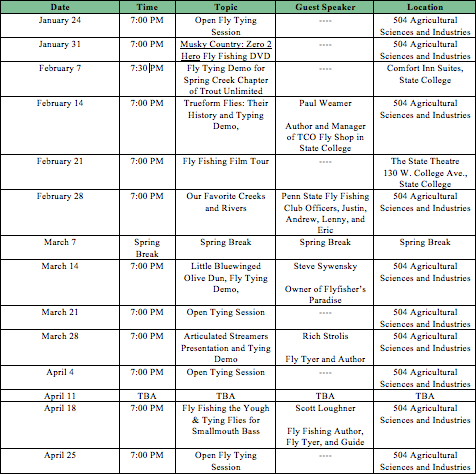 The following is a tentative schedule of events for the upcoming weeks. This semester looks to be very exciting, with numerous special guests making visits. Be sure to keep checking back throughout the semester for an updated schedule!